Desi Smith Photo. 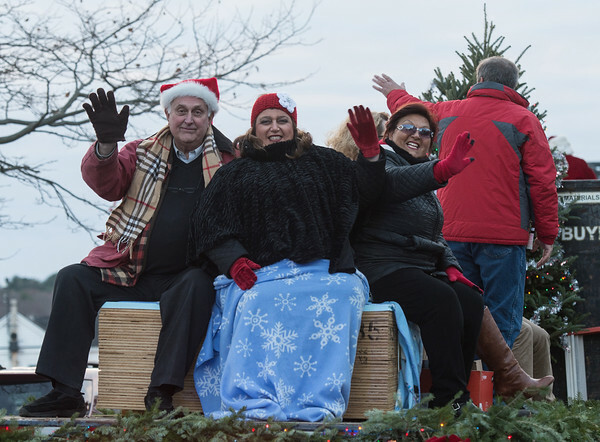 City Counselor Joe Ciolino, Mayor Sefatia Romeo Theken and her sister Rosaria Floyd wave to the crowds of spectators along the parade route on Western Ave heading to Kent Cirle for the Annual Tree lighting Sunday night. November 27,2016.